I love scarves. Anyone who knows me, knows that I am nearly always wrapped up in a warm one in winter, and draped in a cool one for sun protection in summer. 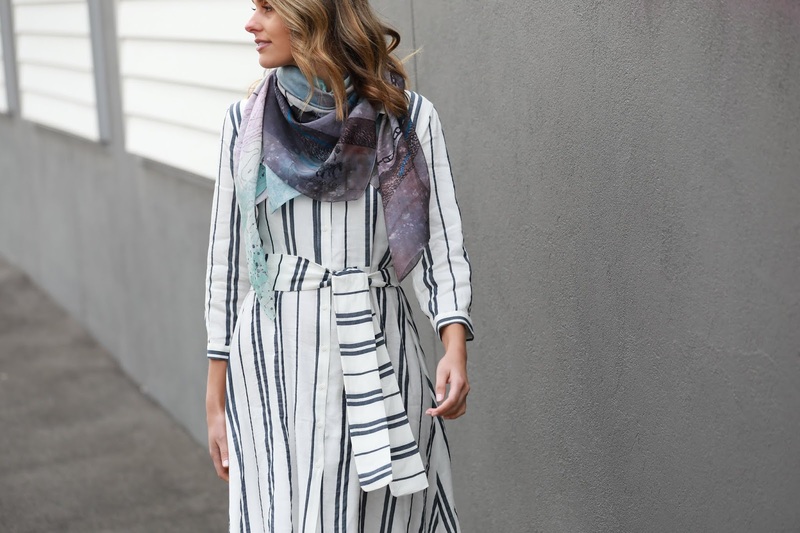 Whilst I own many beautiful scarves, it is always exciting to see a new comer, especially a Melbourne based talent with items sustainably made. dog&boy is the dream child of Melbourne’s fashion and business guru, Sonya Michele. Sonya is a mentor to RMIT fashion students. She is also a leader in furthering opportunities and education for women. And in February will be showcasing her designs in New York. Sonya’s inspiration comes from the beauty around her. “How often do we think about or are flooded with images and stories about getting away from every day to some exotic destination where all things are beautiful. But what about the everyday beauty all around us?” Says Sonya. Her designs seem to mix fashion with the beauty of nature. The eclectic patterns boast enough colour to pick up any outfit, while the soft fabrics make them just as beautiful to wear as to see. Check out Sonya’s website to view the full collection.